Mouth guards are coverings worn over your teeth, and often used to protect your teeth from injury and from teeth grinding and during sports. Mouth guards should be used by anyone who plays contact sports such as football, boxing, soccer, ice hockey, basketball, lacrosse, and field hockey. 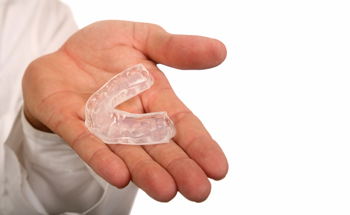 Adults who grind their teeth at night should have a mouth guard to prevent tooth damage.